The gentle lavender fragrance gives you peace and harmony. 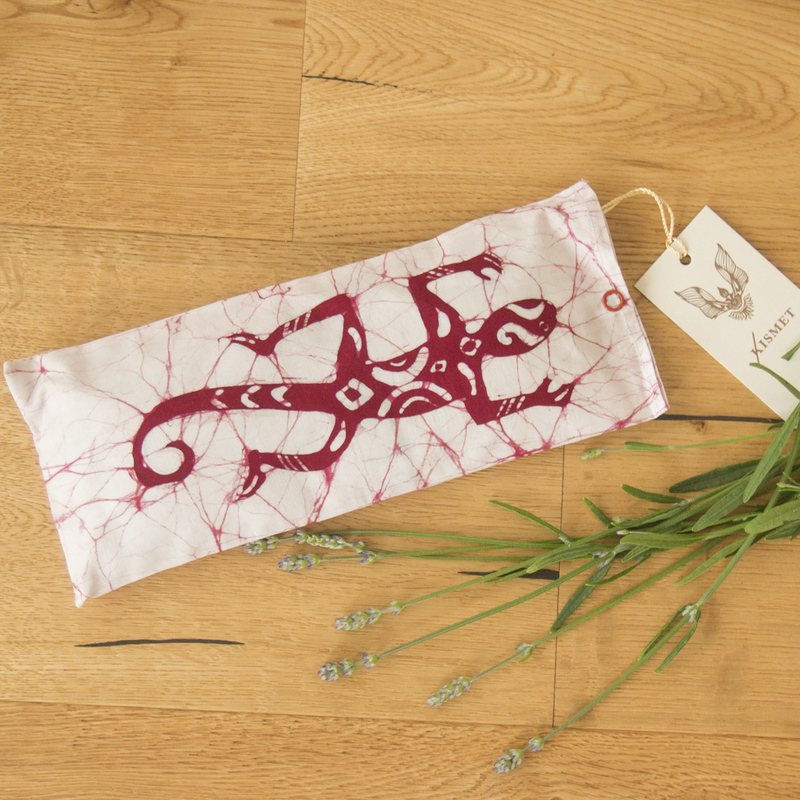 The lavender eye pillow Lizard Red is a unique piece and was designed with love for you in Sri Lanka. If the Lizard comes into your life, it gives you an invitation to dream. … from Nobil with love. 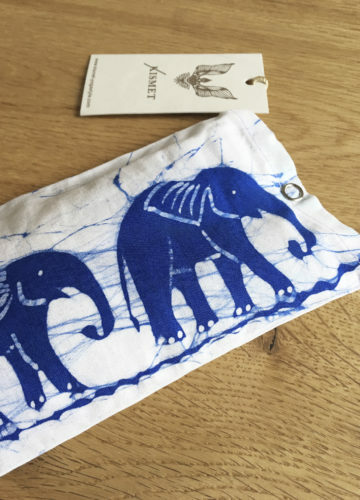 Noble Mendis, batik artist from Sri Lanka has created your Kismet Lavender eye pillow. Each is a unique piece! 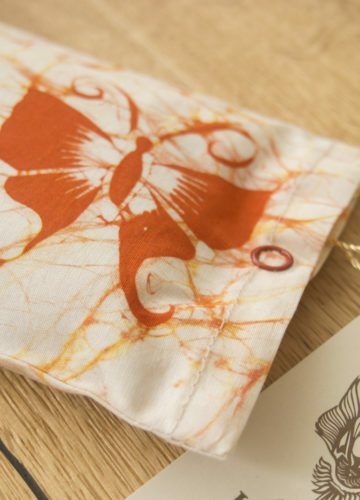 The handcrafted traditional patterns are applied with wax and left out during dyeing. 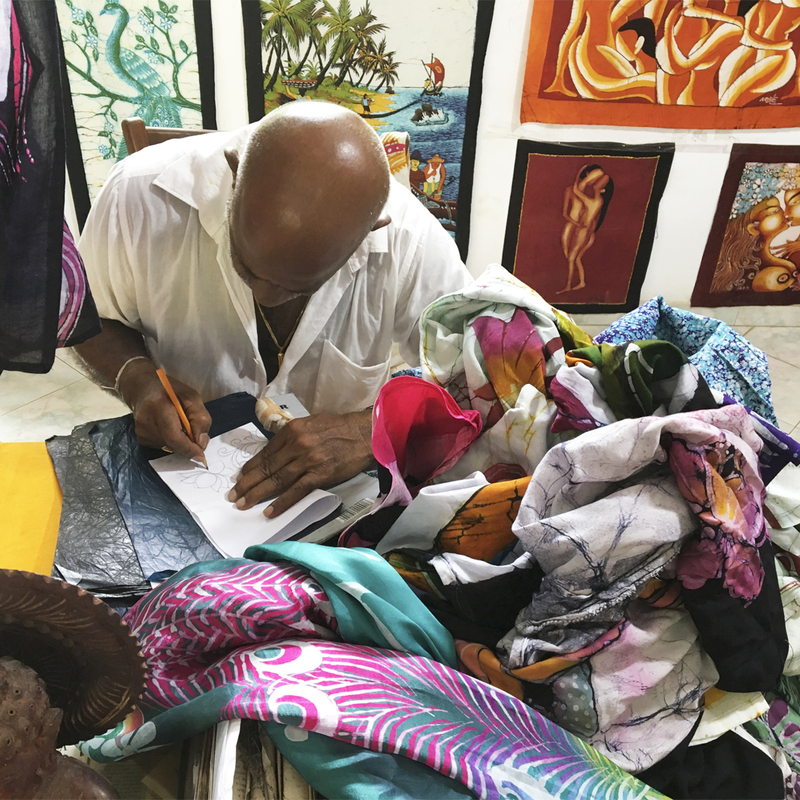 Nobels Batik art is characterized by a variety of traditionally inspired and often religiously or culturally patterned symbols and colours. After your asana practice, you take rest in Shavasana. 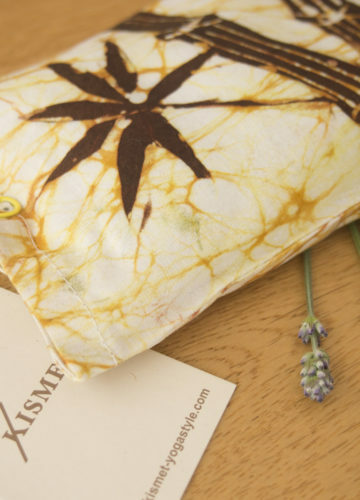 Place the Kismet Lavender eye pillow on your eyes. 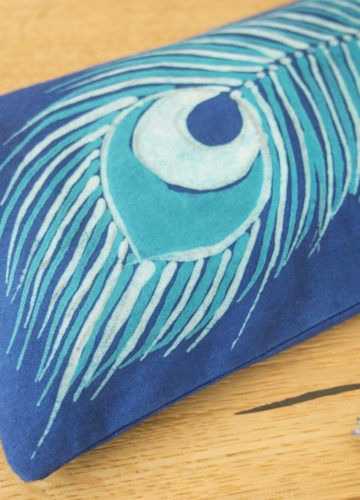 The acupressure effect of the eye pillow relaxes the muscles around the eyes. Your breathing becomes slow and even for a deep relaxation. 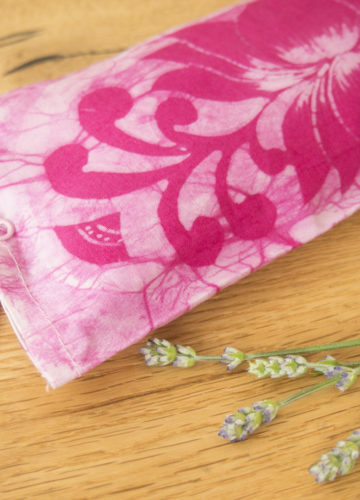 Lavender flowers have been used in medicine for centuries. 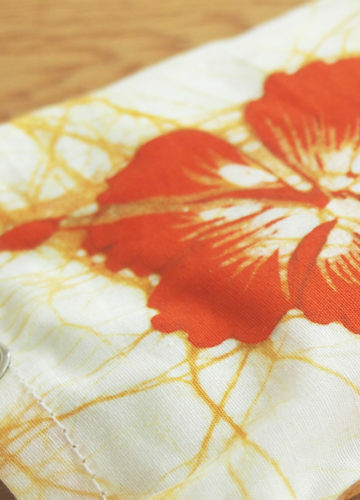 The lizard stands in Buddhism as a symbol of success, happiness and healing. 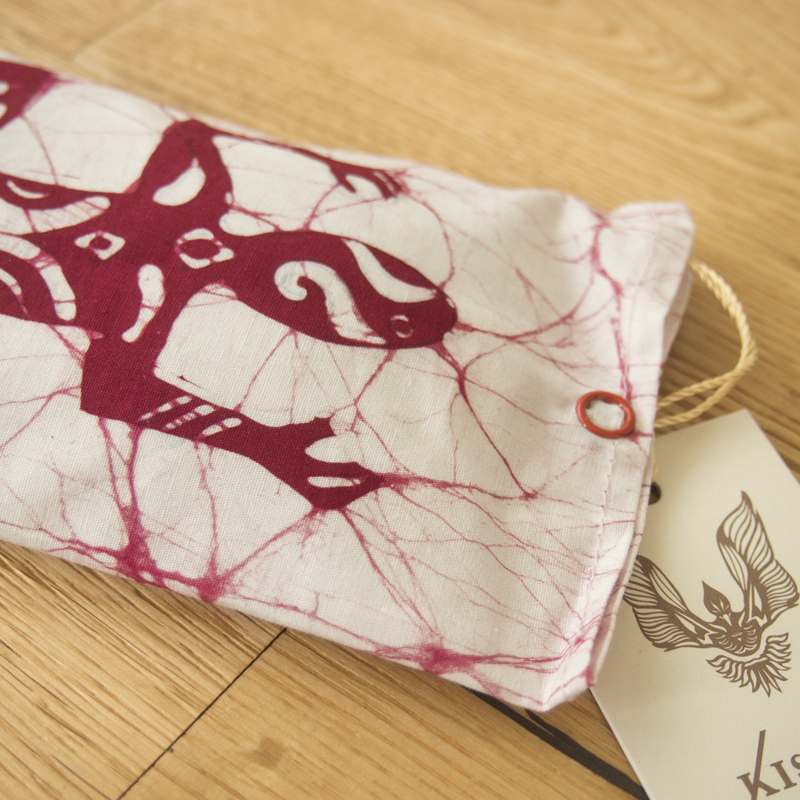 In the Indian cultures, the lizard is considered the bringer of light. The lizard watches over the power of dreams and promises happiness and blessings. If the lizard comes into your life, it gives you an invitation to dream. Only lizards have the ability to create reality out of dreams. If the lizard is your power animal, it is time to realize your wishes.